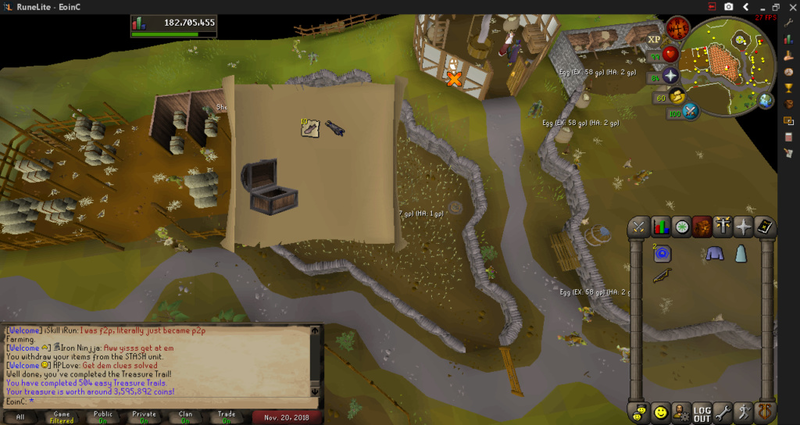 got a really nice easy clue today, don't forget to do your clues no matter what level! 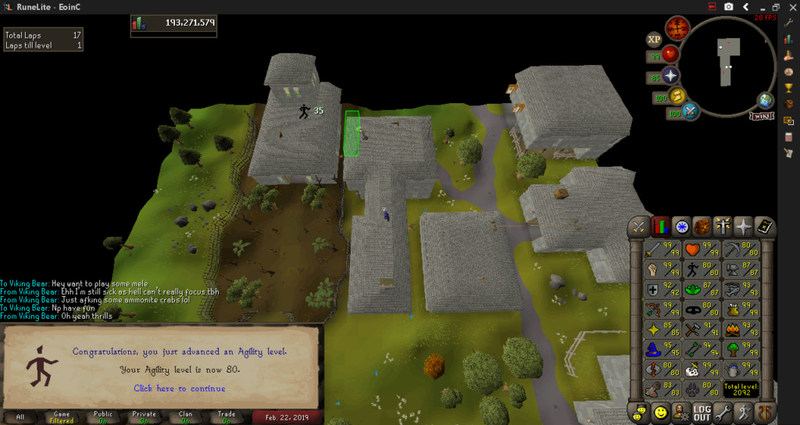 Got 99 woodcutting today! I defeated the tree! BUT NO PET THOUGH! I figured that it's been a while since I posted a level update, about 2 months. Not much has changed I don't think, just doing crafting and smithing, with the occasional skilling in between. 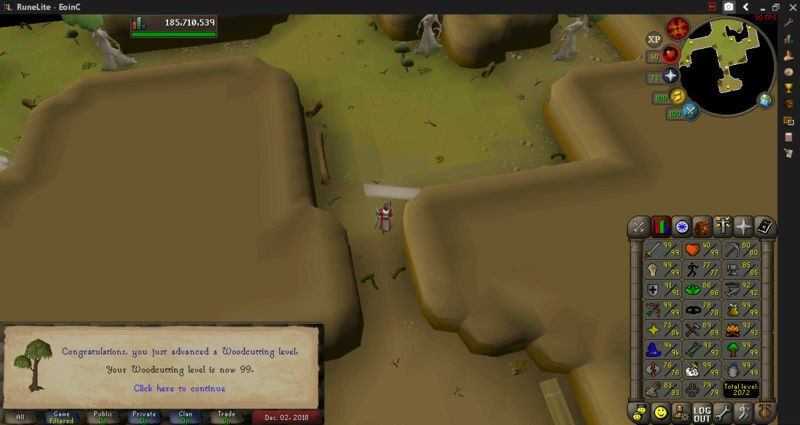 I've decided to go for base 80's but I think a bit of agility should be enough to get rid of that enthusiasm! I miss clues but I haven't gotten many since I've been slaying less now (SAD!) anyways, here's the recent updates and a smattering of recent level pics. Maybe someday I'll make some kind of regular posts, but levels don't come around much anymore . Anyways, see ya online. 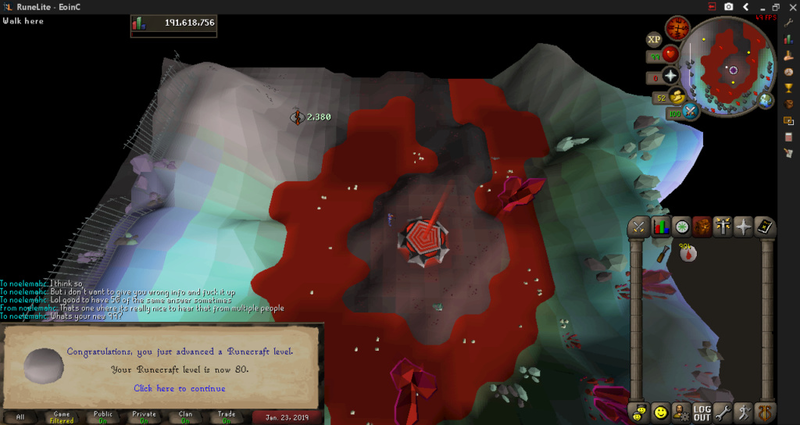 After a couple weeks of bumbling around seers, I finally got base 80's! Maybe I'll go get 85's some day and go through all this garbage again but take longer! JOY!!!!! 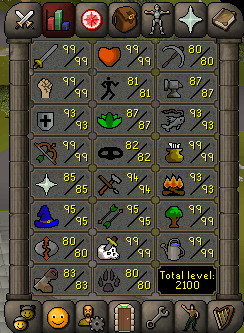 With the obtaining of 82 thieving, I have reached 2100 total levels! 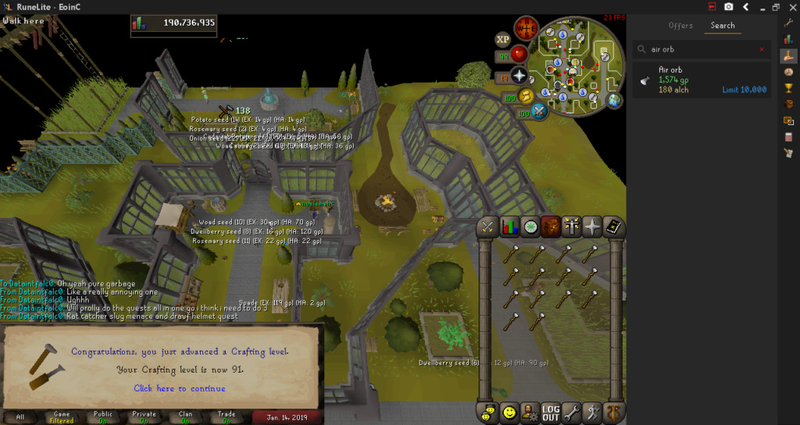 I'm also 1 mil from 200m Total XP! 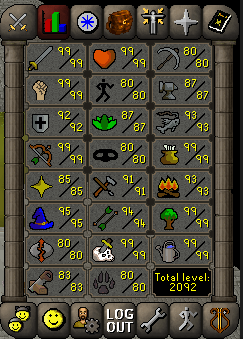 2116 is the 92 average total level, so i'm approaching that halfway mark, in some way. No real concrete goals atm, but as always I'm trying to be doing something whenever possible. Here's to 177 more! Trade levels? I'll keep going with higher levels and you can get mine to where yours are (faster than leveling your own). Kthxbai!